A blue-ribbon panel of scientific and technology advisers to President Obama warns that the nation risks losing its longstanding supremacy in food production because research in agriculture has not kept up with new challenges like climate change, depleted land and water resources and emerging pests, pathogens and invasive plants. The president’s Council of Advisers on Science and Technology, chaired by John P. Holdren, director of the White House office of science and technology policy, and Eric Lander, president of the Broad Institute of Harvard University and the Massachusetts Institute of Technology, urged a commitment of $700 million in additional money for new agricultural research — but deployed in very different ways than the money that is currently doled out. “Our most important conclusion is that our nation’s agricultural research enterprise is not prepared to meet the challenges that U.S. agriculture faces in the 21st century,” the panel states in its report, which was issued on Friday. The report lays out seven challenges ranging from competition for water to the impacts of climate change and biofuels production on food yields. “The need to deal with these growing challenges in agriculture, including new pests and pathogens, controlling agriculture’s environmental impact, health and nutritional concerns and international food security underscores the importance of agricultural research to the health, prosperity and security of the nation,” they wrote. But the panel found that federal money for agricultural research has, in real dollars, remained roughly the same for the last 30 years, according to the report, while financing for research in other areas of science and technology has risen strikingly. Moreover, because so little of the money is awarded competitively, the report’s authors concluded, it is not spurring innovation and is often duplicating research being done by private companies. Excluding recent research on biofuels production, less than $500 million per year is available for competitive grants in agriculture, the report said. That amounts to roughly 2 percent of the competitive funding from the National Institutes of Health and 6 percent of that from the National Science Foundation,” the panel wrote. “One consequence of the small amount of competitive funding for agriculture research is the decline in training of new agriculture scientists and the hindered recruitment of a new generation of the best young scientists into this area,” the study said. The Department of Agriculture is the largest federal grantor of funds for agricultural research, but roughly 66 percent of what it distributes stays in-house to finance its own research units like the Agricultural Research Service and the Economic Research Service — roughly double the amount that other federal agencies retain for research purposes. The bulk of research money is spent on a handful of commodity crops, particularly corn and soybeans, for which private companies enlist battalions of highly educated plant breeders, geneticists, laboratory technicians and other skilled workers in research and development. The report also underscores how deeply agriculture meshes with energy, health, environmental and even national security issues. For instance, the panel noted that despite the nation’s growing reliance on biofuels, little research has been done on the impact that droughts and other extreme weather might have on the nation’s energy supply. It also noted the growth of interest in the role of food in human health and well-being, including growing problems like obesity and diabetes. “As part of the public investment in agricultural research, funding should be provided to explore how plant and animal products can be used or modified to respond to this crisis in nutrition and health by developing new varieties of food products and new approaches to food processing,” the panel wrote. The group also called for the proposed $700 million in new money for agricultural research to be distributed through a competitive process and that a portion be used to ensure that some of the nation’s most talented graduate students and post-doctoral researchers take part. “U.S. 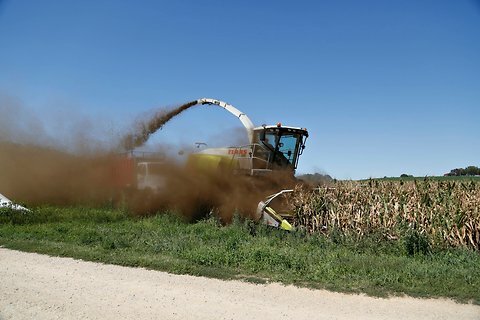 Agricultural Research Is Faltering, Report Warns” (Green blog, nytimes.com, Dec. 10) sheds light on a pressing issue: the urgent need to finance agricultural research. But as the Agriculture Department’s chief scientist, I disagree with the characterization that our research is faltering. Agricultural science has led our country to be the global leader in feeding the world. It has also returned more than $10 to our economy for every $1 invested in research. Continued innovation and investment are critical to maintaining our leadership and our competitive edge. Our research is focused on the grand challenges of the 21st century — providing food security while meeting other demands placed on agriculture for fiber, fuel and other feedstocks; preserving natural resources; and adapting to climate change — and on fostering a culture of open science internationally. Despite financial constraints, the quality of our work remains of high quality and value. The writer is under secretary for research, education and economics at the Agriculture Department. Previous PostHardwick, MA cattle could save the planet (according to Time Magazine)Next PostAgroecology or Industrial Farming?